The Floatworks started life in 1993 with just two tanks and we now operate nine, making us the world’s largest flotation tank centre with over 1200 customers each month. We are considered to be a leading authority on the benefits of floatation and have become the first port of call for many people, both here and overseas, wishing to open their own centres. 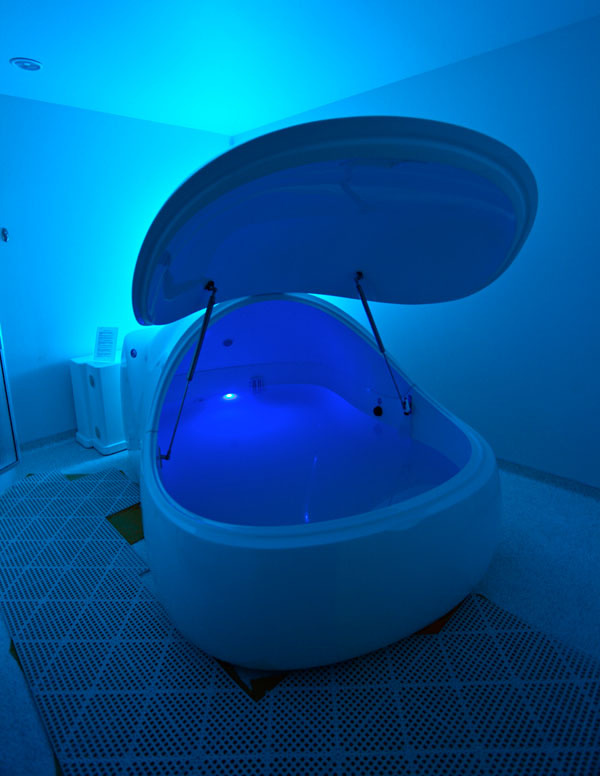 Why have we built a floatation tank? 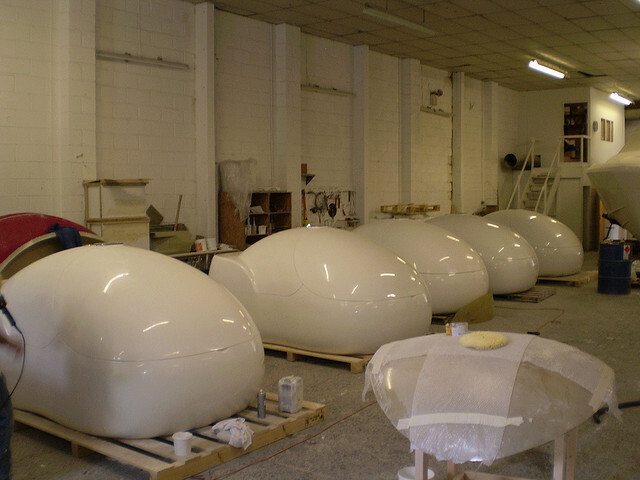 Over the years we have acted as agents for various manufacturers and had experience of many types of float tank. Each model we encountered seemed to have its own shortcomings and, in the end, we concluded that no one had really been able to build the ideal system. We decided then that the time had come for a new approach and, accordingly, embarked on a lengthy period of research and development which finally led to the creation of the i-sopod. Designed to take floatation into the 21st Century the i-sopod is the result of many years meticulous planning and testing. It is constructed from the finest quality GRP double-skinned mouldings and is hand finished and insulated throughout. Precision robotic cutting in the mould-making process and the use of the finest components and electronics guarantee consistency of quality and a robust product that will give many years of untroubled service. The i-sopod is of double skinned construction throughout with a large air cavity between the interior and exterior sections. The three main parts (door, top and base) are hermetically sealed units which maximise sound and thermal insulation and reduce operation costs. When the interior light switch is pressed once the underwater LED lighting slowly fades in, producing the most inviting electric blue tones. 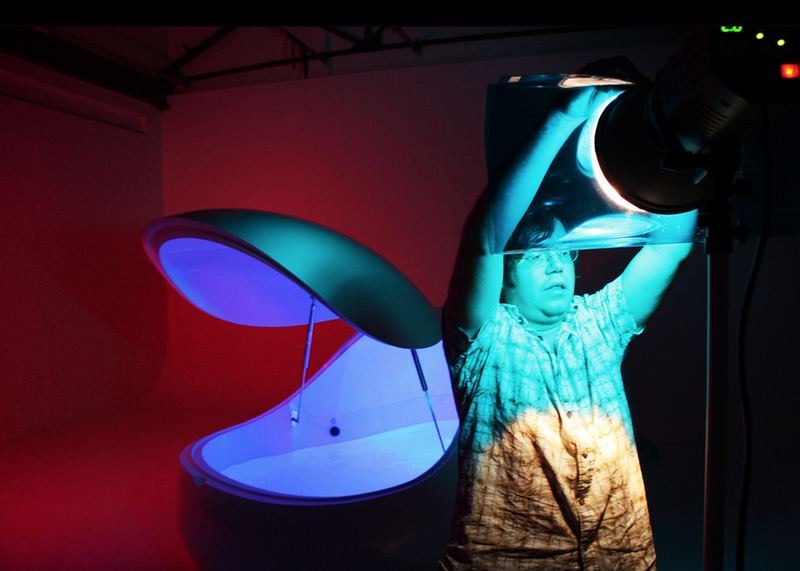 If the button is pressed on and off in quick succession the tank’s computerised light show is initiated, slowly scrolling through a myriad of vibrant colours. When the door is left open potential new customers are sure to be entranced by the slowly pulsing, mesmerising display. The latest LED spa lamps have been used as the most reliable and energy efficient way to illuminate the i-sopod: with a life expectancy of some 80,000 hours re-lamping should not be required for another 20 years! Each tank is hand finished to customers’ specifications, colour-coded to blend in with existing livery if desired, and can even incorporate a company logo. Stereo sound is supplied via a built-in MP3 player using the latest transducer technology which excite the skin of the tank to ensure optimum fidelity. Additional music can be supplied via the SD card reader giving the option for timed music playback. The internal floatation area of the i-sopod is 50% larger than most tanks on the market making the in-tank experience much more comfortable. The unit is fully ventilated through natural convection and guaranteed draught free. Clever design allows the door to be positioned partially open or closed as required. A powerful pump and the very latest in filtration technology are incorporated in the design. Existing floatation tanks filter at around 30 microns whereas the i-sopod filters are fully effective to one micron which is an incredible 100 times smaller than a human hair! The i-sopod features a digital control unit enabling various automatic processes to be adjusted to suit individual requirements. Session length, music timing, disinfection and cleaning are all operated through an intuitive LCD interface. Full operation of the tank can be monitored and controlled by the sophisticated remote control system which, ideally, should be located in the reception area. 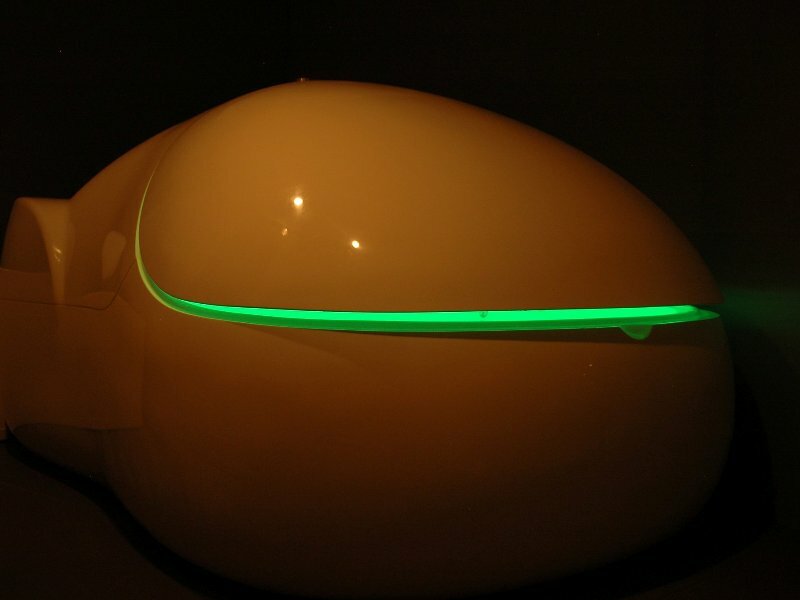 Uniquely, the saline solution in the i-sopod is heated outside the tank eliminating the electro-magnetic fields which occur when embedded heaters are used. 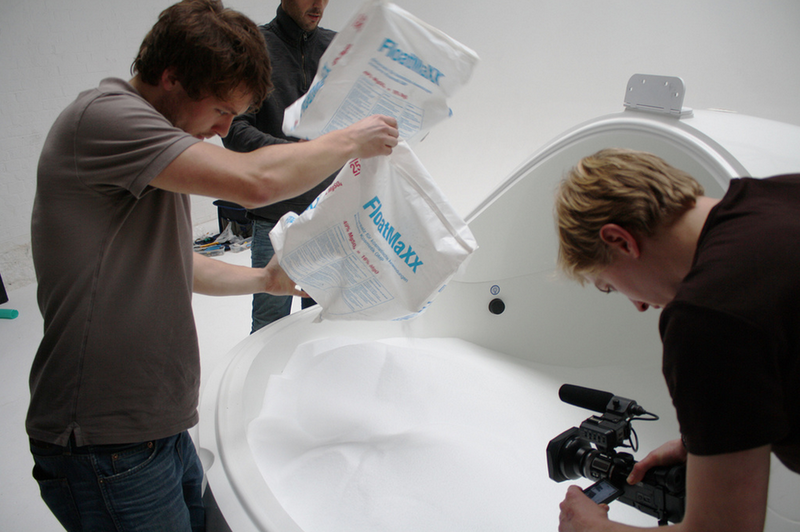 As a result our customers have found that the overall quality of the floatation experience is vastly increased. In addition, because the filter station, pump and heater system (the “engine”) are all situated externally to the main body, installation is quicker and less labour-intensive than other designs. When these components are incorporated internally, servicing and repairs are always complicated and costly. Designed and constructed in accordance with the latest CE guidelines, units are fully installed and come with manufacturer’s warranty and service plan. Instruction signs, operator’s manual, water treatment and disinfection chemicals, earplugs, density checker, water sampling photometer and even a copy of “The Book of Floating” are supplied with each purchase. Non-slip flooring, ideally seamless vinyl, but if tiles are used you will need to make the fitter aware of the harsh nature of Epsom salt. Altro flooring (or similar) is recommended. A mechanical ventilation system to replenish the air supply to the room where the i-sopod is housed. Electrical supply – 1 x 13 amp waterproof spur located to the rear of where the tank is to be located and positioned 1 metre from the floor. Walls – again something to stand up to the corrosive nature of Epsom salts. Mermaid water proof panels from Norske Interiors (or similar) are recommended. Remote control – the tank is supplied with a remote control unit which controls lights, temperature, filtration, session length, MP3 sound source and attendant call. The RC should be located in the reception area. Lighting – the room lights should be dimmable from the reception area. All parts of the i-sopod will fit through standard door frames (email us for a detailed access document). Fully installed with manufacturer’s warranty, service plan, and designed and constructed in accordance with the latest CE & UL guidelines. Internal underwater lighting and attendant call button are supplied as standard, with all interior controls air coupled for complete safety. We have different disinfection systems on offer to help you meet your local regulatory authority requirements. 2000 watt heater, 230V, AC Class One (earthed) suitable for 220 to 250 volts. There are several versions of the i-sopod making it fully compatible with the various voltage requirements around the world.